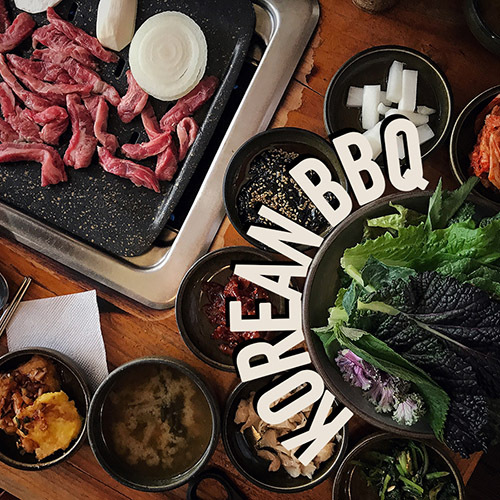 Korean BBQ is one of the most famous Korean dishes and definitely amongst my most favorite ones in Seoul. It doesn’t matter how tired I am after a long flight, the first thing I do in Seoul is finding the Korean BBQ restaurant. 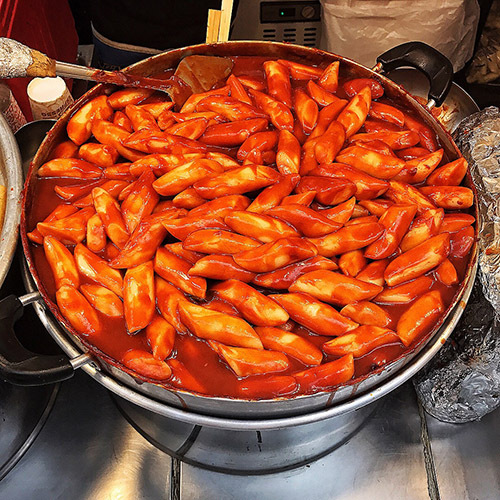 Tteokbokki (I read it to-po-ki) is a very traditional Korean street food. You can find this dish in many good restaurants but it truly thrives on the streets and markets. 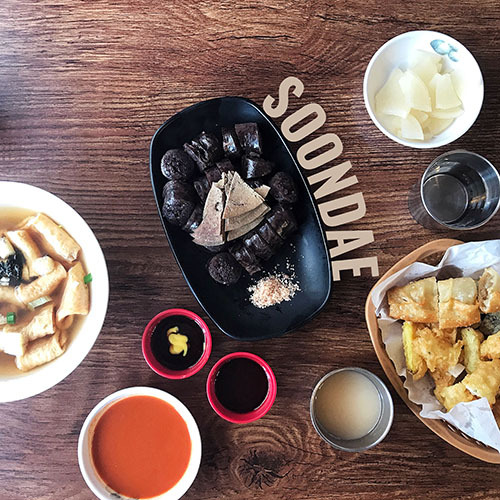 Another simple, yet delicious Korean street food dish is the Korean Blood Sausage. Steamed or boiled pig’s blood stuffed into intestines, with Korean rice or Glass Noodles. This dish usually also comes with some liver, heart, tongue, or stomach and some dipping sauce. 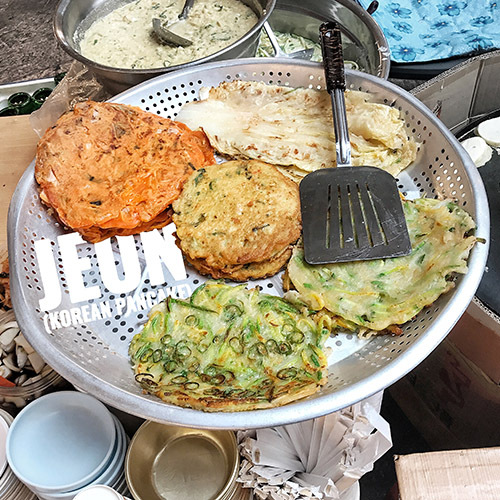 Jeon is another very traditional Korean street food which has an excellent value for money, and I recommend to try during your visit to Seoul. 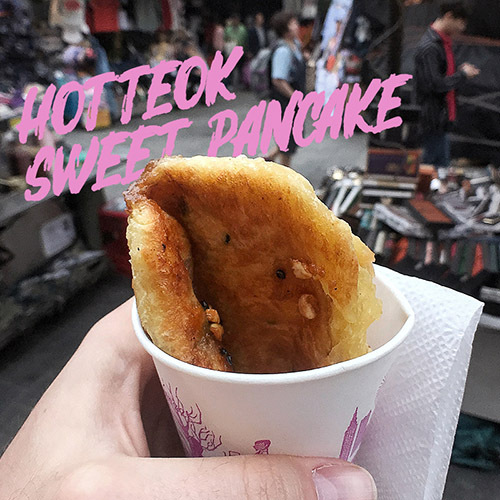 One of the Korean Street Food gems which I never miss to get when I am in Seoul is the Hotteok or Korean Sweet Pancake. 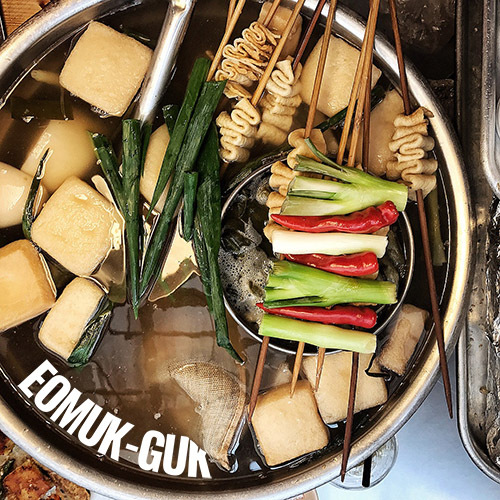 Eomuk-Guk is another super typical Korean street food. And one of my all time favorites. It is a basic dish. The main ingredient is the Fish Cake (Eomuk) with some veggies, seaweed, and tofu. 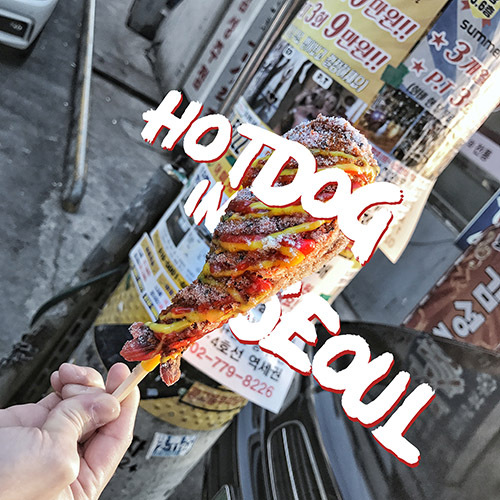 The hot dog is not something I would put in a must try in Seoul list, however, this place seems to be very trendy all around the Soul at the moment, 2017 and it nicely shows the approach to food in Seoul. 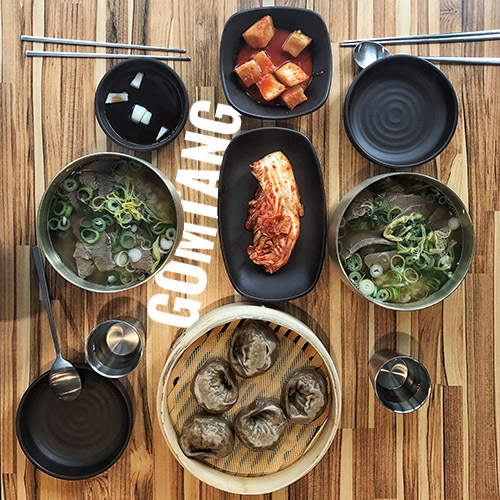 Gomtang is simply a beef stock made from various beef parts with, mostly, some delicious meet, green onions, and rice. As with everything in Korea, you can eat many different variations of this soup but the basis is the same.